From 3.6 version of theme, you can add full ajaxed templates. What is the main difference between ajaxed templates and regular. When you filter your content with ajaxed template, your link doesn’t change and always looks good. But ajaxed templates are not so flexible as catalog constructor, because all settings are inside PHP file. I have included 4 predefined templates which are ready for ALAX. All of them are in /mdf_templates folder of theme. If you have PHP skills, you can change them or use as is. 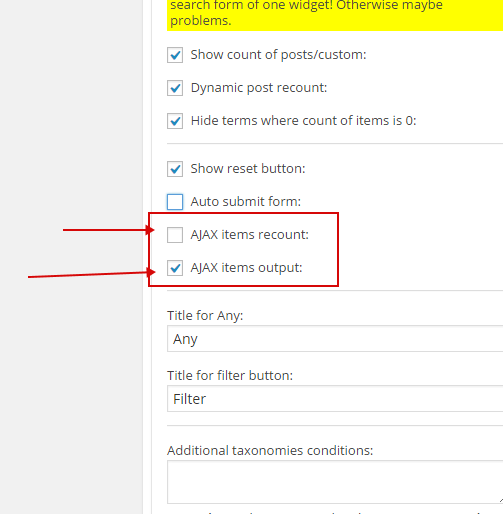 Also, it’s very important to use on this page MTDF filter or widget with enabled AJAX options.